Jhaveri Flexo has successfully completed ISO 9001 and ISO 22000 surveillance audit for extended scope of CPP and metallization from Intertek, leading certifying body, with the help of Punyam Management Services. 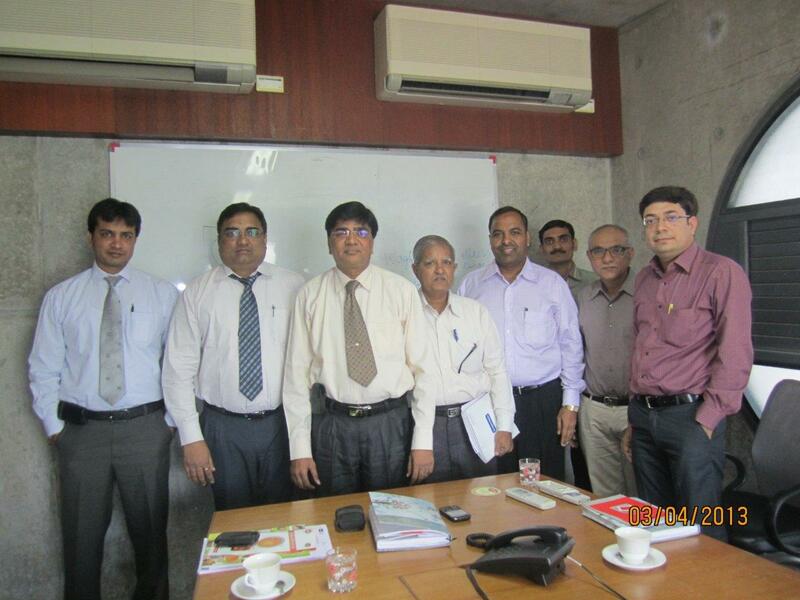 The organization has successfully completed iso 9001 and iso 22000 audit in its Luhari Plant at Silvassa of DNH, India. The audit was conducted by Intertek food services and after visiting plant by two leading auditors and review the entire system as per requirements of ISO 22000 standards, they recommended Jhaveri Flexo India pvt Ltd, Luhari for the scope of CPP (Cast Ploy Propylene). Lead auditors from Intertek were happy with the implementation of the ISO 9001 quality management system as well as ISO 22000 food safety management system developed by Punyam management. They congratulated Jhaveri Flexo and Punyam staff for developing entire system in quick time and achieving such scope of CPP and metallization which is very few in India. Punyam has provided all the necessary support to Jhaveri Flexo in prepared all the documents required for this surveillance audit as well as provided training to all the staff of the Luhari plant to clear the quality and food audit in first attempt. In this mechanism the surveillance audit with extended scope of metallization and CPP is completed successfully. Jhaveri Flexo India Limited is located at Silvassa UT of DNH achieved this scope of CPP and metalization. The organization is engaged in manufacturing of CPP – Cast Ploy Propylene. Also the organization has imported a Metalizer from Germany, which consists of new sophisticated mechanism and very few in India. Which allow them to do metallization on all kind of films like PET, BOPP, CPP etc. The organization is mainly serves the customers who are in food business like Cadbury, PepsiCo, Nestle, Tata, Unilever thorough their flexible packaging unit at Dapada. Punyam Management Services pvt ltd is leading ISO certification consultancy India, provides iso certification consultancy since last 20 years and having key knowledge of all the ISO standards like ISO 9001, ISO 14001, ISO/TS 16949, OHSAS 18001, ISO/IEC 17025, ISO 27001, ISO22000, BRC, FSSC 22000, RC 14001, ISO 50001, ISO 17020:2012 and more. Punyam is also known for Sedex certification, HACCP certification, NABL accreditation, NABH accreditation consultancy and training programs on management subjects like Six-Sigma, Kaizen, Kanban, Benchmarking, 5S lean, KRA, TPM etc. Punyam is associated with Jhaveri Flexo since last 10 years. And all the necessary guidance and helps in terms of Quality and Food safety like system designing, routine maintenance, system up-gradation, awareness and auditor training, internally auditing, customer auditing etc is provided regularly. Punyam Management has successfully completed BRC customer audit taken by Intertek for PepsiCo in Jhaveri Flexo on 18th and 19th October 2012 at Silvassa, Aurangabad. With the help of Punyam Management, the organization has successfully completed audit as per the PepsiCo requirements and the audit was conducted by Intertek food services. The purpose of the audit was leading client of Jhaveri Flexo; PepsiCo wants to meet certain standard requirements in the organization. Behalf of PepsiCo, the audit was conducted by the audit Intertek auditors had visited and audited Jhaveri Flexo as per BRC global standards and their requirements. Auditors from Intertek were happy with the implementation of the BRC system and all the requirements were fully met. Punyam management has provided support to Jhaveri Flexo in prepared all the documents required for this customer audit from leading certifying body Intertek. Also helped them to understand all the requirements of the PepsiCo and prepared all the staff for this audit in quick time. Punyam management has supported to the Jhaveri Flexo in all the areas of food since last 10 Years. And in routine all the necessary help like documentation, internal auditing, trainings etc is provided. Jhaveri Flexo India Limited is engaged in manufacturing flexible packaging in rolls and pouch form having manufacturing locations at Silvassa (Dapada and Luhari) and Aurangabad. The organization is successfully handling the big customer like PepsiCo, Nestle, Tata, Unilever and so many export customers. Punyam Management has also helped them in third party audit for all these customers. Punyam Management Services pvt ltd is leading name in ISO Certification consulting services in India. Punyam provides iso certification since last 20 years and having deep knowledge of all the ISO system requirements. Punyam offers iso certification consultancy for ISO 9001, ISO 14001, ISO/TS 16949, OHSAS 18001, ISO/IEC 17025, ISO 27001, ISO 22000, HACCP, BRC, FSSC 22000, RC 14001, ISO 50001, ISO 17020:2012, Sedex certification, NABL accreditation, NABH accreditation, Six-Sigma, Kaizen, Kanban, Benchmarking, 5S lean, KRA, TPM etc. Punyam management has developed quality management system, environment, ohsas, laboratory management, and food safety system for many leading clients like Reliance, TATA, Kanhai Food, GECL, Meghmani, Magnum Industries, Mazda, Temptek, Polydrug, Shalby Hospitals, Kalpataru Power, Sunrise, Buzwair, Saudi Aramco, QGEC, Doha Technical Lab and many more from India as well UAE, Qatar, Bahrain, Dubai, Saudi Arabia, UK, Europe, Africa, USA etc.